The new iPad has been with us almost 4 months and we decided it's about time to analyze its carbon footprint. Yesterday we started a 7-part series in which we explore the carbon footprint of the new iPad, compare it to the carbon footprint of iPad 2 and try to figure out if Apple has made any progress from environmental perspective with its new iPad and what's the new breakeven point between books and ebooks on the iPad. Every day we'll look into another part of the carbon footprint of the new iPad. Yesterday we talked about production. Today we're looking at energy efficiency. iPad uses power-efficient components and software that intelligently manage power consumption. In addition, the iPad 10W USB Power Adapter outperforms the stringent requirements of the ENERGY STAR specification for external power supplies. The following table details the power consumed by iPad in different use modes. 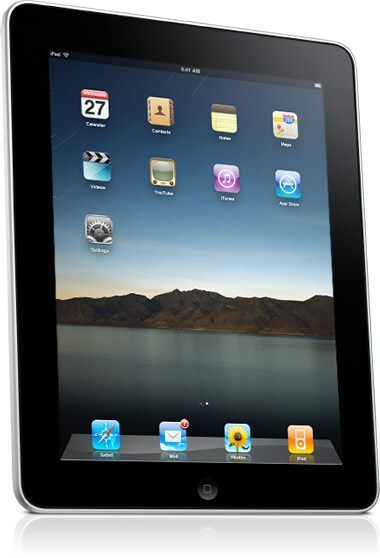 iPad 2 uses power-efficient components and software that intelligently manage power consumption. In addition, the iPad 10W USB Power Adapter outperforms the stringent requirements of the ENERGY STAR specification for external power supplies. The following table details the power consumed by iPad 2 in different use modes. Here's our take: When it comes to energy efficiency it looks like the iPad hasn't made any progress. It either moves backwards, using more power (sleep and idle mode) or shows no change at all (power adapter - no load, power adapter efficiency). Is it really important? The answer is yes! Customer use is about 25 percent of the carbon footprint of the iPad, so better energy efficiency generates substantial improvements in the carbon footprint, which unfortunately is not the case here. Bottom line: Apple has failed to make any improvements whatsoever in the energy efficiency of the new iPad. If anything, it only made it less efficient. Next part on our series: Packaging.